Are you looking for SS 304 Pipes provider in India? We at Aspirinox Alloys Inc is your most trusted manufacturer and supplier of Stainless Steel 304 Pipes made from Chromium, Molybdenum and Steel Alloys material. 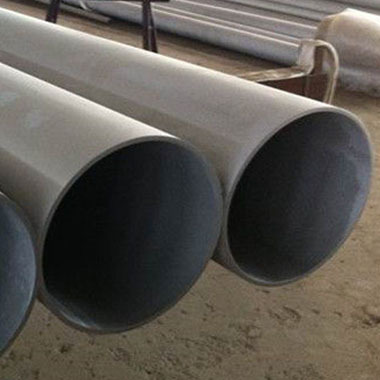 We offer 304 SS Pipes in both forms of Stainless Steel 304 Seamless Pipes and Stainless Steel 304 Welded Pipes both have a high demand in the international market. The products manufactured by us surpass Product Analysis, Magnetic Particle Examination, and High-Temperature tension tests. Furthermore, our offered SS 304 ERW Pipes assure high durability to any erosion in the long term. However, our best in class SS 304 EFW Pipes offer high resistance to corrosion, malleability, and hardness. Our Stainless Steel 304 Round Pipes as its widest application in the oil industry due to its high-temperature resistance. We design and product Stainless Steel 304 Oval Pipes that using our latest cutting-edge technology under the supervision of our have most skilled professional. These Stainless Steel 304 Hollow Pipes are manufactured in order to meet all needs of petrochemical and pipework industry. Our Stainless Steel 304 Rectangular Pipes comply with national and international standards and are revamped every quarterly. Contact us to avail best in class 304 stainless steel pipes at best price. Specifications for 304 Stainless Steel Seamless and Welded Pipes. If any specification is not mentioned here, please use the contact button for quick quote. Request the latest 304 Stainless Steel Seamless and Welded Pipes List. Please click on the request a quote button or click here to request the updated price list and ready stock information along with your requirement. Aspirinox Alloys INC maintains stock of all standard items and can export them at best price for 304 Stainless Steel Seamless and Welded Pipes.